This tattoo measures approx 1.5 inches in diameter. Why not try a temporary tattoo before deciding on the real thing. 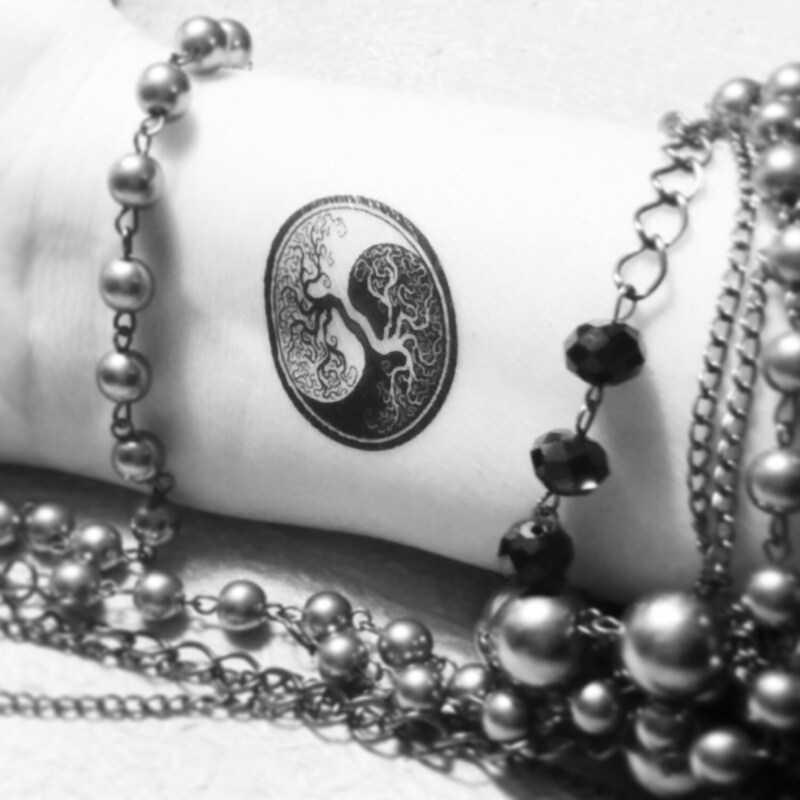 You will receive 2 tree of life tattoos. Tattoos should last 1-3 days depending on placement. also avoid hot water around the tattoo. Any tattoos placed on your hands or fingers will not last very long due to washing and regular use of your hands.
. gently rub baby oil over the tattoo until it comes off. **Tattoos are mailed in a white envelope USPS first class mail without tracking. Want to add tracking to your order? Loved them but the one I put on faded rather quickly I thought. It arrived quickly. Rec'd securely....details of stamp are perfect....saving to use for special occasions! If you are dissatisfied with your order please contact me letting me know what the problem is so I can help you. I ship all tattoos in a plain white envelope using USPS first class mail without tracking. This cuts down on shipping cost for you. At checkout, you can choose to upgrade the shipping by adding tracking or priority. Domestic shipping usually takes 1 - 3 business days for delivery. International shipping can take several weeks depending on how strict the customs agents are. I try to ship all orders next day. I include instructions with every order on how to use your tattoo and how to keep it lasting longer. Please take time to read the instructions. These are temporary tattoos, they will have some shine to them. Any tattoos placed in high used areas (hands, fingers, etc.) will not last very long. Do not place on areas with lots of body hair. Shave the area first to help with the look and life of the tattoo. Oils, soap, hot water and alcohol will remove the tattoo. I suggest when showering to either wrap your tattoo so the water can't get to it or not turning the hot water up as high as usual. This will help your tattoo last longer. Also, don't be impatient when applying, I wait the full minute when I'm applying.